I am just going to say upfront that I am not good with mixed media challenges. I love seeing other people's creations but when I try I just get flustered. 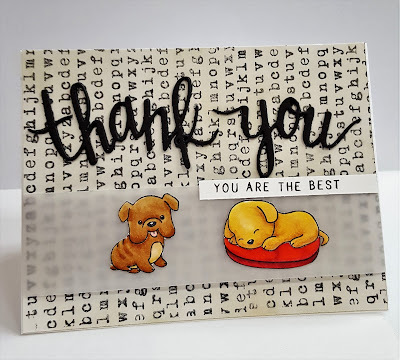 However, I saw the challenge at Sending Paw Prints to make a pet thank you card with print and wanted to make a card with puppies. I also happened to have a stamp that was typewriter text and thought that could work. 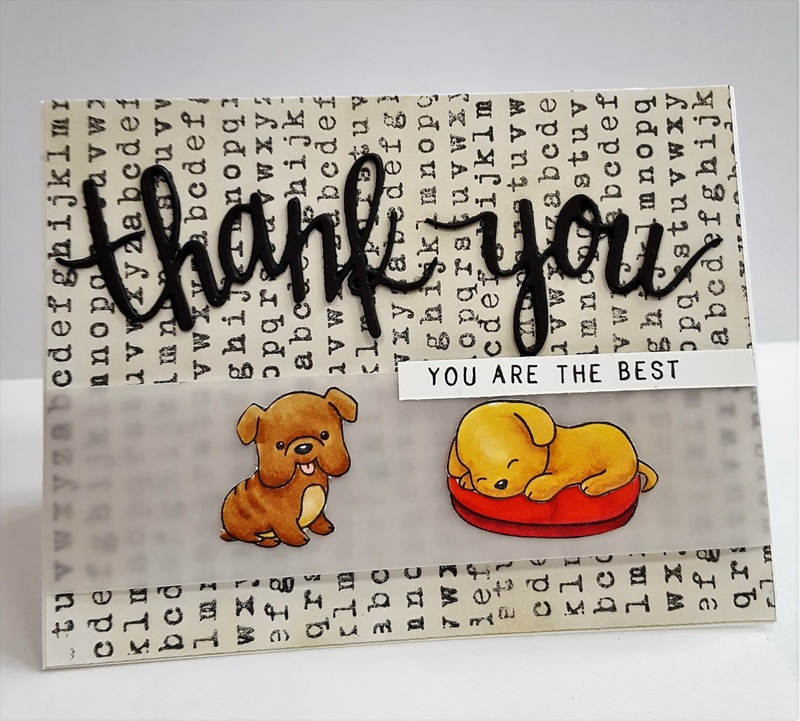 So to start, I took white card stock and stamped with a large Stampabilities text background stamp. Then I used Antique Linen and Old Paper distress inks to give it a little color. I colored a couple of puppies from Clearly Besotted's Playful Pooches set with copics and then fussy cut them out. 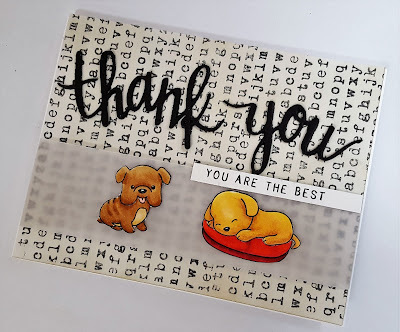 I die cut the thank you from Hero Arts a few times and glued them together for dimension and took a scrap piece of paper and added the small sentiment. To put it all together, I took a strip of vellum and wrapped it around my stamped paper. Then glued the puppies, the die cut and the sentiment on.